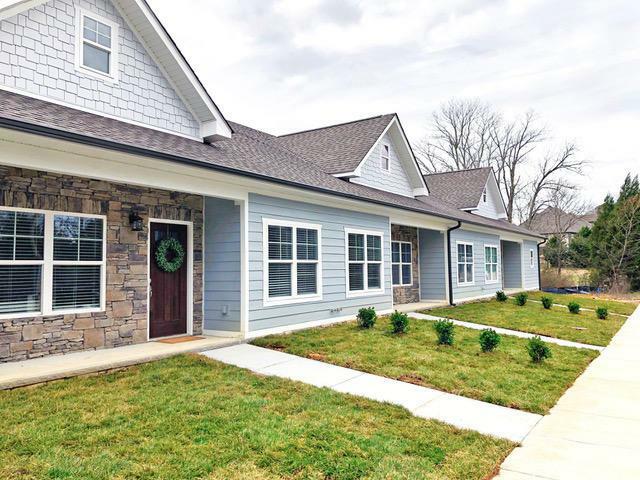 New construction townhomes in the Shadow Creek Cottages Subdivision now up for rent and available for move-in December 1st just in time for the holidays! Plenty of space offered here with 3 bedrooms plus an office. Master on the main level features walk-in-closet, en-suite with tiled shower and double vanity. Granite countertops throughout, gleaming hardwood. A half bath downstairs is convenient for guests and laundry room off the master. Upstairs offers a second full bath among the 2 additional bedrooms. Be the first to live here! Schedule a private tour today! © 2019 Chattanooga Association of REALTORS®. INFORMATION DEEMED RELIABLE BUT NOT GUARANTEED. The site does not contain all listings available through the MLS. Keller Williams Realty does not display the entire MLS of Chattanooga, Inc. database on this website. The listings of some real estate brokerage firms have been excluded. IDX information is provided exclusively for consumers' personal, non-commercial use and may not be used for any purpose other than to identify prospective properties consumers may be interested in purchasing. Data is deemed reliable but is not guaranteed accurate by the MLS or Keller Williams Realty. This site was last updated on 2019-04-24T08:08:39.19.